While most blockages are inevitable, there are many preventative steps you can take to ensure that you are not faced with a major problem that could end up costing you more. Our team of highly trained, professional drain engineers offer CCTV surveys which we recommend to uncover any problems with your drainage systems that may have otherwise gone unnoticed. 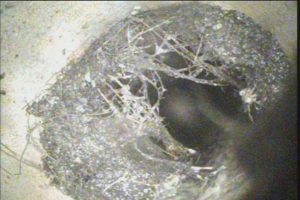 Using the latest technology and preventative methods, CCTV surveys can identify any areas in your drains that might need repairs or maintenance, before they escalate into bigger issues that could cause more damage to your property. Last week, when Simon moved into his new home he called our team to conduct a CCTV survey on the drains after he became concerned about decay due to the age of the property. We were able to identify an underlying issue with the drains and repaired it there and then, saving Simon both time and money. 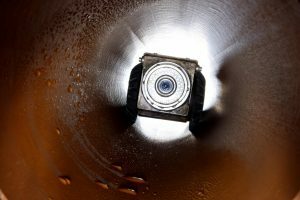 CCTV surveys produce a detailed and in-depth report that is comprehensive and easy to understand, so you can know the exact quality of your drains and the best course of action should any problems arise. We offer genuinely low fixed prices with no hidden costs or call out fees, so you, like Simon, will always know how much you’re paying no matter how long the job takes to complete. Most jobs are completed within the hour, and with an average response time of 2 hours, we can ensure that your drains will be taken care of swiftly and efficiently. Using a CCTV survey means that you can rest assured that any problems you may have missed have been accounted for and taken care of. So if you’re in need of an emergency drain engineer, don’t hesitate and call today to speak to a member of our team for help and advice, as well as a free no obligation quote. The BEST way to examine underground, sewers and pipes closely is by using CCTV cameras. Blocked Drain Bristol use state of the art software technology which delivers quality drainage system inspections. New property buyers buying domestic home and commercial buildings are being advised by building surveyors to ensure that they have a CCTV drain survey carried out by a certified surveyor, as buyers are often left in the dark about the condition of drains which are often out of sight and out of mind. And it can be in very poor condition. This can lead to many problems. You could need to spend a lot of time and money. However that could be avoided by having a CCTV drain survey carried out by our professionals. The survey is performed quickly with the aid of a drainage schematic. Any type of blockage will be found. It then can be removed on the first visit. Therefore saving the potential homeowner time and money. A large portion of blockages are cleared within an hour after a problem is identified with Bristol Blocked Drains. We are offering an affordable, professional and friendly CCTV drain surveying service. It produces in-depth and comprehensive drain surveys for customers. It is also clearly detailed and understandable. We are the best at it in Bristol. You can rest assured that many future problems can be caught and prevented by the team. It can save you a significant amount of time and money. 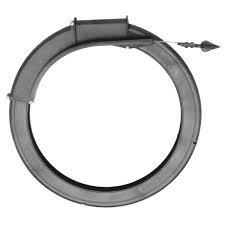 When it comes to drainage problems, it is best not to leave it to chance. But you need to confront any small issues before they turn into huge problems. Call us today for your free personal quote on a CCTV drain survey.